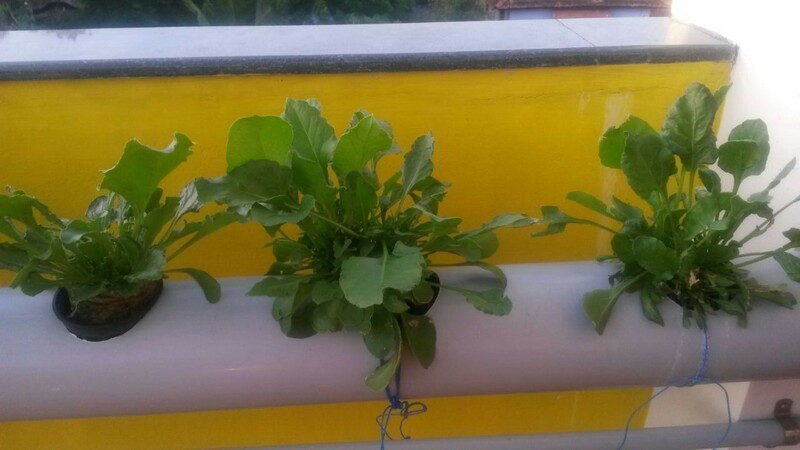 This post is to describe one particular system that – spinach using Nutrient Film Technique (NFT). 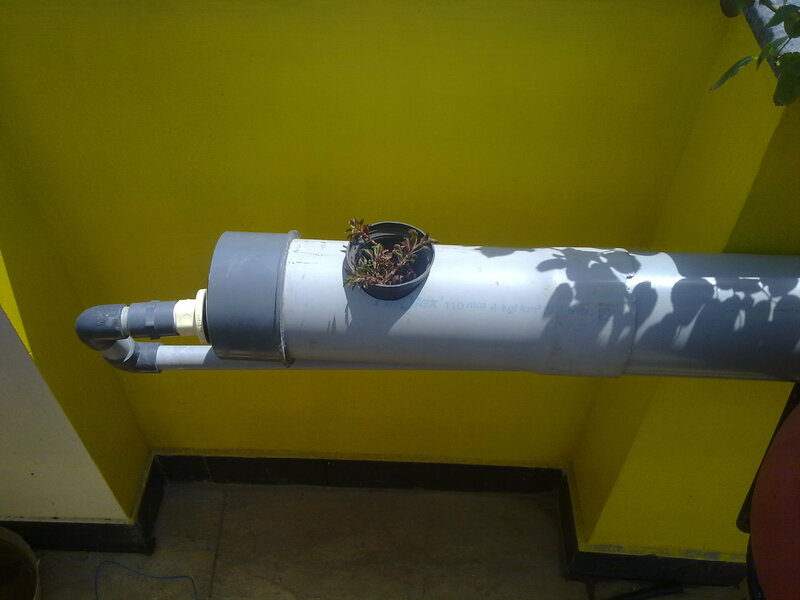 An NFT system consists of a pipe through which a nutrient solution is circulated. Holes are drilled in the top side of the pipe and net pots containing the plants are placed in it. 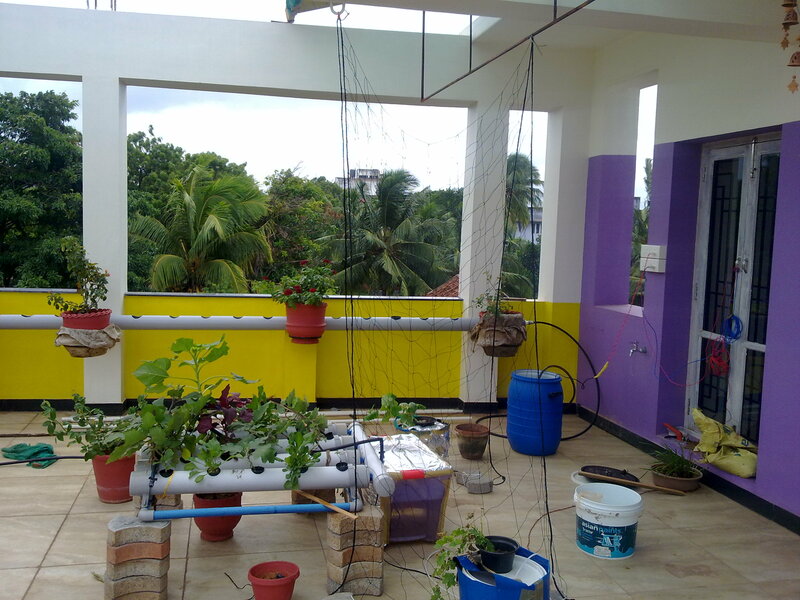 The water level in the pipe is adjusted such that the net pot just touches the water solution. A reservoir stores the nutrient solution and a submersible pump circulates the nutrient solution throughout the system to oxygenate the solution and also supply nutrients. 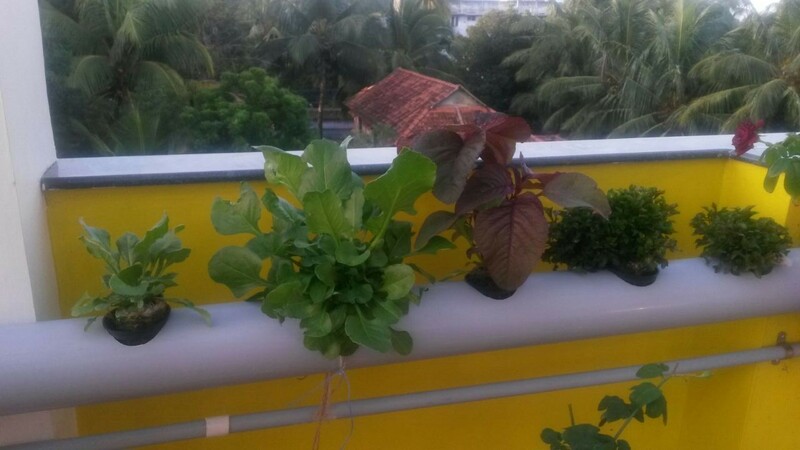 Hydroponics spinach NFT system – growing amaranthus, palak keerai, ponnangani keerai. Total Bill of Materials – Rs.4000 approx, excluding the pH meter and TDS meter which costs another Rs.2500 and is common for all systems. Also, a drilling machine with appropriate hole saw set was used to drill holes. 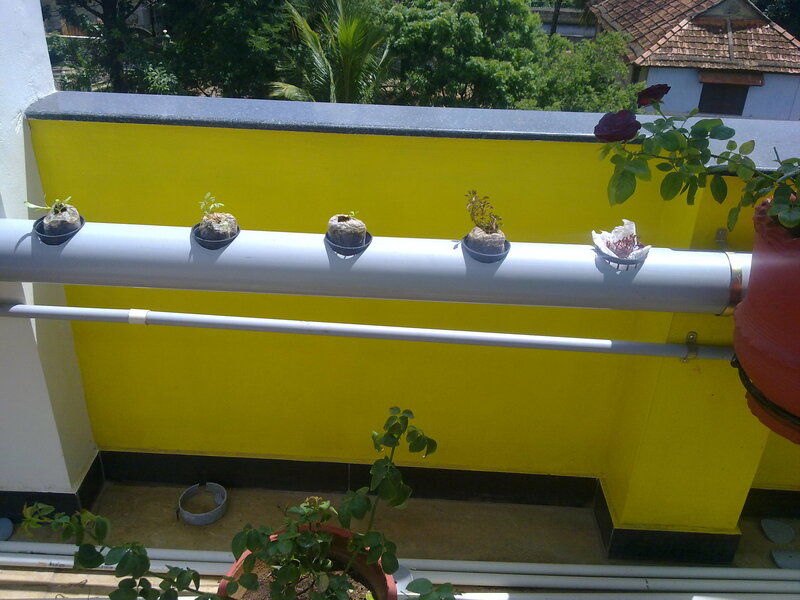 The big 6 inch PVC pipe was clamped to the wall in a slightly slanted manner to make water flow. One end received input from the nutrient reservoir and the other end was connected to the a slightly slanted ¾ inch return pipe(PVC) that was connected back to the reservoir to return the nutrient solution. The 6” PVC pipe had holed drilled on top to place net pots with plants on it. I hired a plumber to do the job according to my requirements. 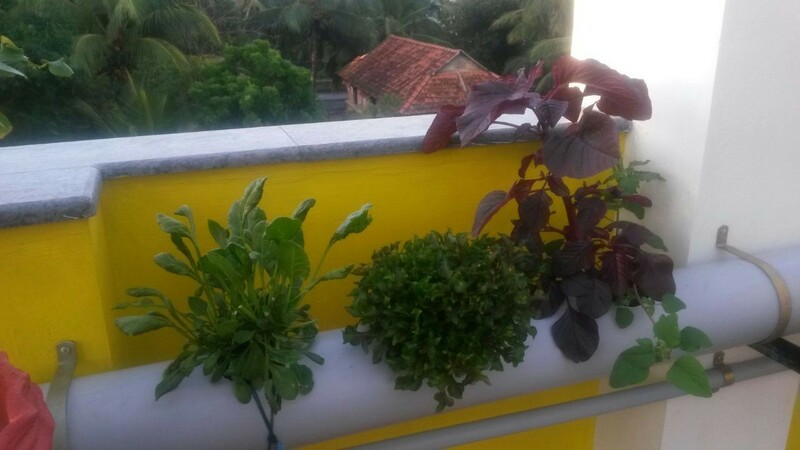 The plants were germinated in cocopeat germination plugs and placed in netpots, which were in turn placed in holes drilled in the PVC pipe. The connector in the end cap was drilled such that the water level just touched the netpots. If too much of the netpot is submerged, then roots might decay and plants die. The submersible pump present in the 50 liter nutrient reservoir tank pumped water in the big pipe, which then flowed through the pipe and drained via the smaller pipe below into the reservoir. This is a critical thing, not just for supplying nutrients, but mainly for oxygenation of water. Roots need oxygen, else they will decay and plants will die. The nutrient concentration used was 400ppm initially and when the plants grew, the concentration was increased to 800ppm. The pH of the solution was maintained between 5.5-6.5. The water/nutrient topping up is done once every week. The problem with this system is that it does not have much direct sunlight as it is shadowed by the beam of the building. It has good indirect sunlight and that seems enough to have a healthy growth. We harvest from this system few times per month. Perhaps another system with more sunlight can increase the production. 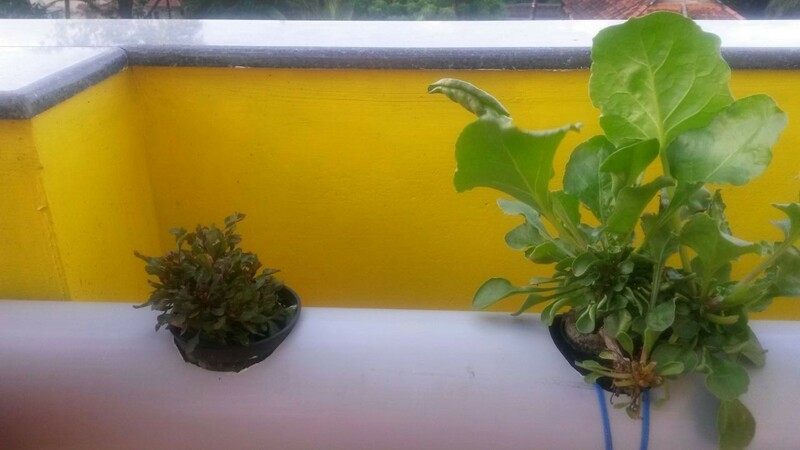 Hydroponics Spinach NFT System by Solarii Knight Anand is licensed under a Creative Commons Attribution-ShareAlike 4.0 International License. Interesting! Is this cost effective in terms of how much yield can be had per PVC pipe? Anyway, nevertheless, it’s a nice thing you’re doing on your roof. 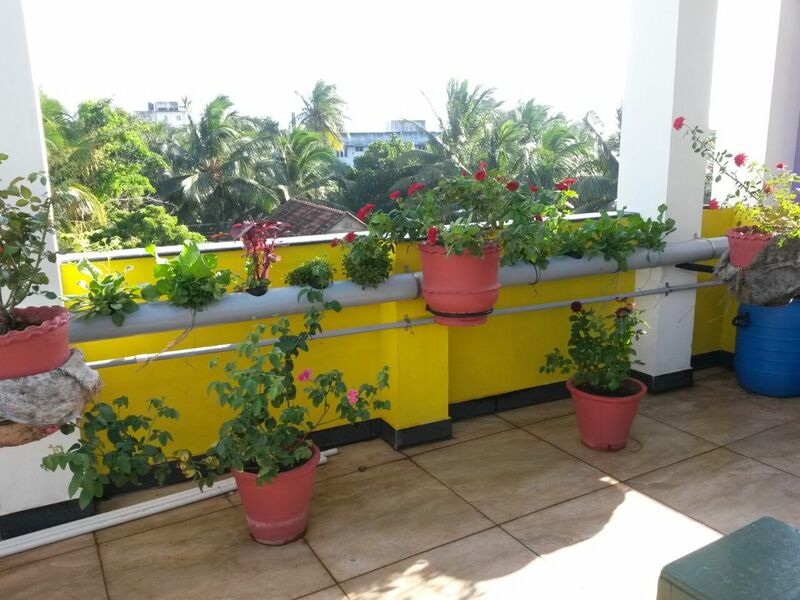 Am planning to put up a similar system on my balcony with 6″ pvc – any tips or suggestions based on your almost 1.5yrs of experience.